Queenstown’s newest lakefront building is set to put the new Eichardt’s resort building on the map for world-leading contemporary architecture, complemented by a stunning new shared urban space. 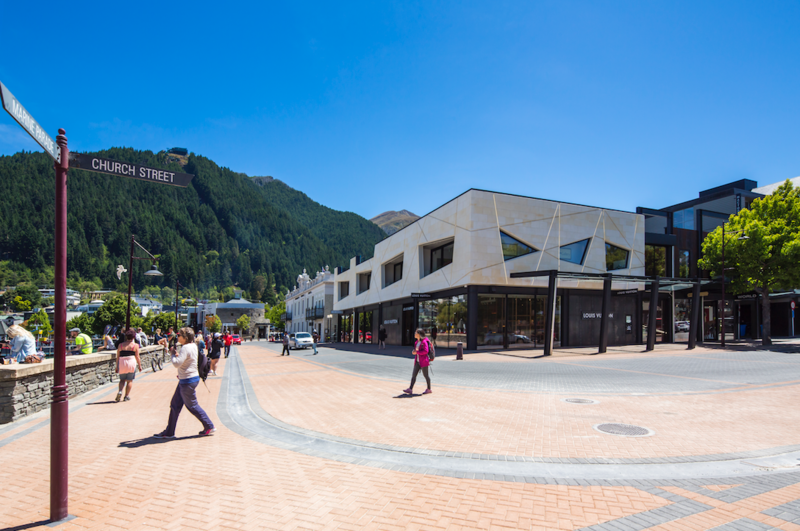 The recently completed shared space streetscaping that caters to both pedestrians and vehicles, a project managed by Queenstown Lakes District Council, also puts the finishing touches on the resort’s new luxury enclave. Eichardt’s, which hosts the $10,000-a-night The Penthouse, Louis Vuitton and WORLD among its tenants on the Marine Parade site, has been described as a ‘brand new icon for Queenstown’ by Steve Wilde, manager of CBD representative body DowntownQT.